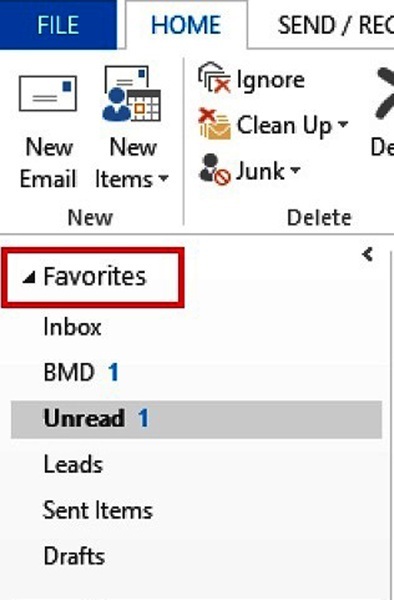 People often overlook Outlook Favorites on the Navigation Pane. It is, however, an amazing productivity tool! For example, you can always see just your unread items (any folder), only those items flagged for follow-up, or email messages from a particular person on a particular topic, and all without wading through screens and screens of folders. The Favorites (Folder) appears at the top of the Navi­­ga­­tion Pane on the left side of the Out­­look window. You can have both folders and Search Folders in Favorites.